It is the third time Hungary has done it. The meeting of the NATO-Ukraine Commission in Brussels at the level of foreign ministers this week will not take place due to Budapest's veto, Ukrinform's correspondent in Brussels learned this from Euro-Atlantic diplomatic circles. Budapest is blocking a meeting of the NATO-Ukraine Commission at the ministerial level for the third time, thus expressing its claims regarding the language article of the Ukrainian law on education. On Thursday, 27 April, Brussels will host a meeting of the North Atlantic Council at the level of foreign ministers of the NATO member states. 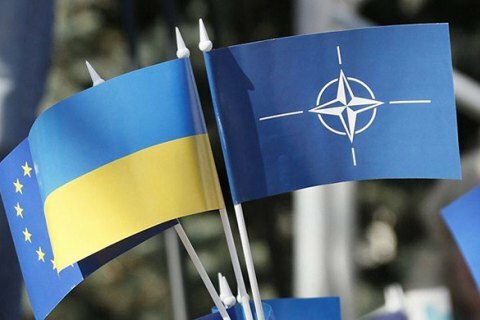 The Ukrainian side planned to hold a meeting of the Ukraine-NATO Commission as part of that meeting. All the Allies, as well as the NATO International Staff, supported such an initiative, but Hungary vetoed it. In February, Budapest blocked NATO's ministerial meeting for the second time. The Hungarian authorities explained that this way it was putting pressure on Ukraine, demanding a revision of the language clause of the law on education. On 20 March, Hungarian Foreign Minister Peter Szijjarto announced his intention to block the participation of Ukrainian President Petro Poroshenko at the NATO summit, which will take place in Brussels in July 2018.